Condominiums can be an economical way to buy residential income property. Real estate investors often buy residential properties and create an income stream by renting them out. The properties can include apartments and condominiums. 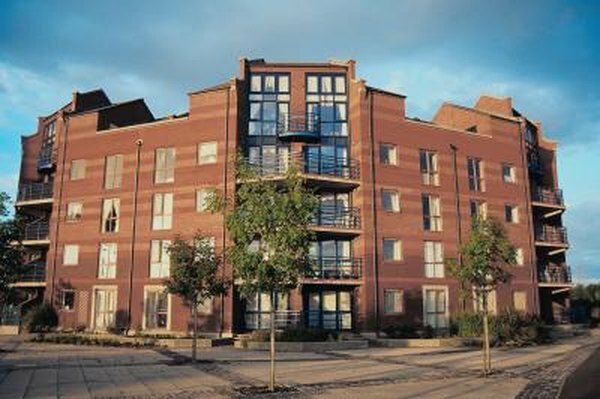 Condos feature several financial characteristics that investors should review before pursuing condo rental investments. They include homeowners associations and financing opportunities. Whether a condo owner is living in a unit or renting it to someone else, the homeowners association, or HOA, can affect his ability to rent. Many HOAs have bylaws that prevent or restrict the rental of condominiums. Even if bylaws do not prevent rentals, having too many renters can hurt property values and complicate financing. Investors should review the financial condition of the homeowners association. If an HOA is in poor financial shape, this can affect property upkeep and make it difficult to secure traditional mortgage loans. Availability of financing is important to investors, because they typically want to use as little cash as possible. Many condominiums are sold with “cash only” terms -- often because property repairs are needed or the HOA is financially insolvent. The Federal Housing Administration will not approve condo financing under several conditions -- for example, if a project is more than 50 percent renter occupied. Another lending yardstick used by the FHA is pending litigation involving the project builders. Even if a condo buyer plans to use only cash and not rely on financing, the lack of mortgage options should be a warning sign of circumstances that warrant closer review. Real estate income property should ideally generate positive cash flow for investors. How much rent the owner can charge tenants is central to her cash flow analysis. Evaluating projected expenses is equally important in determining whether a condo rental investment will produce positive net income. A regular expense for condominium owners is a monthly payment to the homeowners association. Another potential expense is property management if an investor does not want to handle repairs and other owner/landlord responsibilities. When investors are evaluating the possibility of buying a condominium for rental purposes, they should look ahead to their plans for eventual sale. This review needs to include any difficulties that might be involved in a future buyer obtaining condo financing. If traditional financing is not currently available, a later sale might also be limited to buyers who are able to buy the condo without a mortgage. Zillow: Condo Rental Investment Good Idea or Bad Idea?